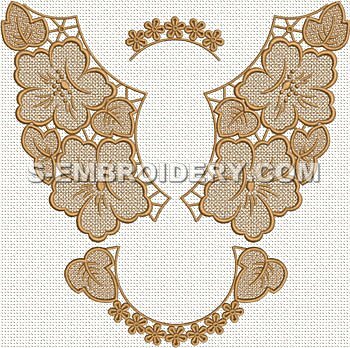 This floral freestanding lace doily machine embroidery design is split in 4 parts that will fit in 5x7 hoops. 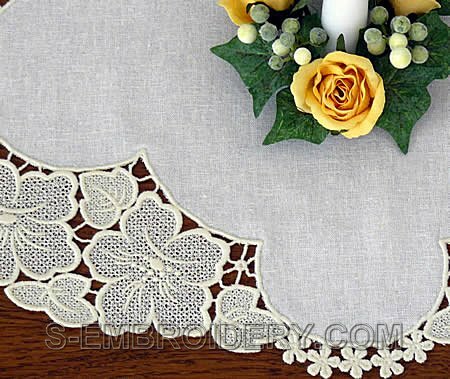 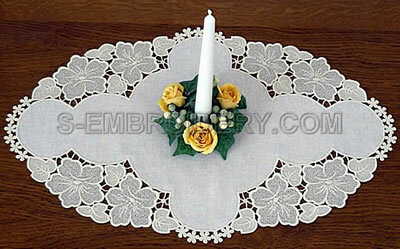 Used in combination with suitable fabric the design will produce a doily with a size of approximately 21.5 x 14 inches (55 x 35 cm). 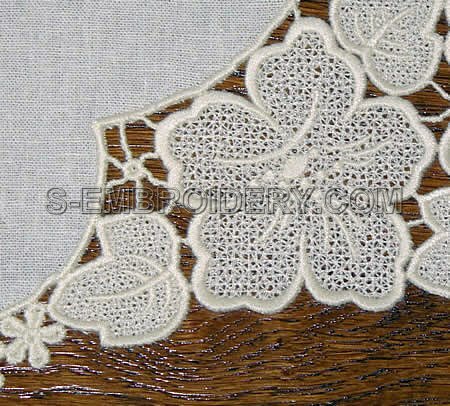 You receive 4 machine embroidery files in one of the supported formats and 2 PDF files with design information and instructions for creating the doily we have featured on our web site.